Adopting a Pet – Before you get a pet, visit this resource site designed for pet owners. 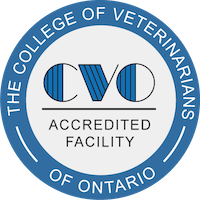 Canadian Veterinary Medical Association Client Guides – The CVMA is the national voice for the veterinary profession. 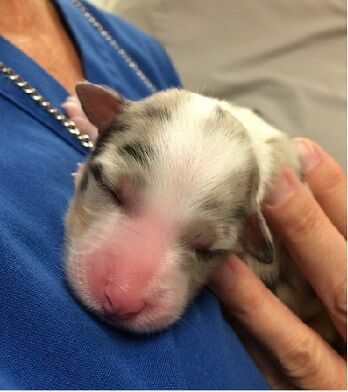 Veterinary Partner Do you have questions about animal health, medications, therapies, surgery, behavior, or safety? Did your veterinarian suggest you visit this site to learn more about a health issue concerning your pet? VeterinaryPartner.com is here to support your veterinarian and you in the care of your companion animals by providing reliable, up-to-date animal health information from the veterinarians and experts of the Veterinary Information Network (VIN), the world’s first and largest online veterinary database and community. American Association of Feline Practitioners The American Association of Feline Practitioners (AAFP) is a professional organization representing feline practitioners who are passionate about the care of cats. The AAFP is dedicated to advancing the field of feline medicine and surgery by setting the standards of feline care through the publication of practice guidelines, position statements, and by providing continuing education. Through publications, education, and thriving relationships with other organizations, the AAFP engages the veterinary community and its members by facilitating the exchange of scientific data and ideas. WINN Feline Foundation The WINN Feline Foundation enhances the relationship between cats and humans by fostering improvements in feline health through research and education. FAB (International cat care) – To engage, educate and empower people throughout the world to improve the health and welfare of cats by sharing advice, training and passion. Canada.ca/LymeDisease – to access educational resources on lyme disease. CanLyme – Canadian Lyme Disease Association – Click here to identify the type of tick you are dealing with, to see videos on tick removal techniques and to learn about Lyme Disease myths. Medicating your Pet These Teaching Videos will help you in medicating your pet with pills, liquid oral medications, ear medications, transdermal gels, sub cutaneous injections, caring for your pets teeth and being prepared in an emergency. Niagara Falls Humane Society – Along with alot of other information you can link to the Petylynx site from here to post lost & found reports. All Ontario Humane Societies are using Petlynx to help reunite pets and their owners. Toxic & Non Toxic Plants – Click here to find a list of toxic and non toxic plants to help keep your pet safe. Pet friendly gardening tips. Healthy Cat This link will help you keep your cat healthy. Tons of great information! Be sure to click on the link at the top of the page called: “SUBTLE SIGNS OF SICKNESS” to know when your cat isn’t feeling well.